Marcello Angelini has served as Tulsa Ballet Artistic Director since 1995, following a distinguished career as a principal dancer and guest artist with some of the most renowned troupes in the world. Angelini’s studies began at home with his father in Naples, Italy, and continued through graduation from the Kiev Institute of Dance in the former Soviet Union on a special full government scholarship. 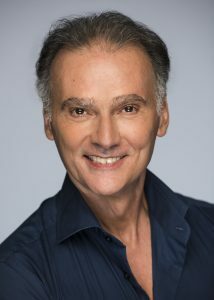 His professional career as a dancer began in 1979 at the Maggio Musicale Fiorentino where he obtained the status of soloist in 1981. He was a principal dancer with Deutsche Oper Berlin, England’s Northern Ballet Theater, Ballet West in Salt Lake City, Les Grands Ballet Canadiens in Montreal, and the Cincinnati Ballet. As a guest principal dancer, he performed with the ballet companies of some of the most prestigious Opera Houses in Italy such as San Carlo Opera House, Rome Opera House, the Arena of Verona in Italy and the Teatro Massimo in Palermo. He also has performed as principal guest artist with the Basler Ballet in Switzerland, English National Ballet and the Scottish Ballet in the United Kingdom, Ballet Arizona in the USA and Santiago’s Teatro Municipal in Chile. He danced leading roles in most of the classical repertoire, including five versions of Giselle, three of The Sleeping Beauty, Michael Smuin’s Romeo & Juliet, three versions of Swan Lake, Jonh Cranko’s Taming of the Shrew, and three productions of Cinderella, including that of the late Rudolf Nureyev. His contemporary leading roles include Death in Death and the Maiden and the valet in Birgit Cullberg’s Miss Julie and has been featured in ballets by Hans Van Manen, Niels Cristie, John Butler, John, Cranko, Kenneth McMillan and most of the George Balanchine repertoire. He has received numerous awards, both as a dancer and for his achievements as Tulsa Ballet’s Artistic director. With his wife, Daniela Buson, he was awarded the Golden Rose for the most promising Italian dancer, the Positano Price for Excellence in the Field and, again with Mrs. Buson, he won the first National Italian ballet competition, held in Rome, Italy and broadcast by RAI, the national state television station. 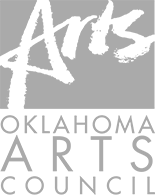 As an artistic director he was awarded the Governor’s Arts Award for individual contribution to the arts in Oklahoma the Harwelden Award and The Kennedy Center Arts Advocacy Award. During his tenure with Tulsa Ballet, Angelini brought to the company’s repertoire dozens of Oklahoma premieres, American premieres and World premieres from some of the top dance makers of the world. Today’s Tulsa Ballet enjoys a truly international repertory representing the world’s leading choreographers and an international roster of dancers representing ten different countries. His artistic policy aims at preserving the classical repertoire of the 19th and 20th centuries while presenting works by the top contemporary choreographers of our time. During his leadership Tulsa Ballet also opened The SemGroup Center for Dance Education in Brookside and The Hardesty Center for Dance Education, both academies meant to offer truly professional dance instruction for the region. Studio K, a theater build with the mission of creating new works in Tulsa and exporting them to the world, opened in 2008 and has premiered over 35 new works since then, fulfilling another important goal for the organization, that of being a major contributor to the growth of the field. National and international touring has also been a major focus for Mr. Angelini, resulting in the company appearing in five different countries in addition to tours to The Kennedy Center in Washington, DC and The Joyce Theater in New York. Mr. Angelini and Mrs. Buson are the proud parents of twin boys Alessandro and Valentino.